The Dharma Centre of Canada, the Namgyal Yangzab Buddhist Community of Canada and Lama Mark Webber are delighted to announce that Drikung Ontul Rinpoche will hold an Amitabha Sukhavati retreat at the Dharma Centre of Canada this June. It is a rare privilege to host such a great spiritual master. His clarity, compassion and display of Dharma, along with humour, is a precious jewel. 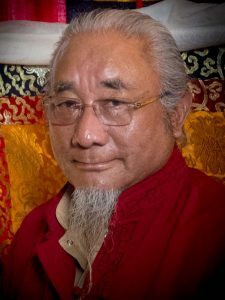 Ontul Rinpoche will confer empowerments, blessings, transmissions and instructions that he deems essential for the benefit of all. A more detailed schedule will emerge soon. Rinpoche will be accompanied by either Lama Tsultrim Paljor, Abbot of the Wogmin Thupten Shedrup Ling Monastery in Tso Pema, India and Aka, Rinpoche’s son, or with Lho Karma Ratna Rinpoche.